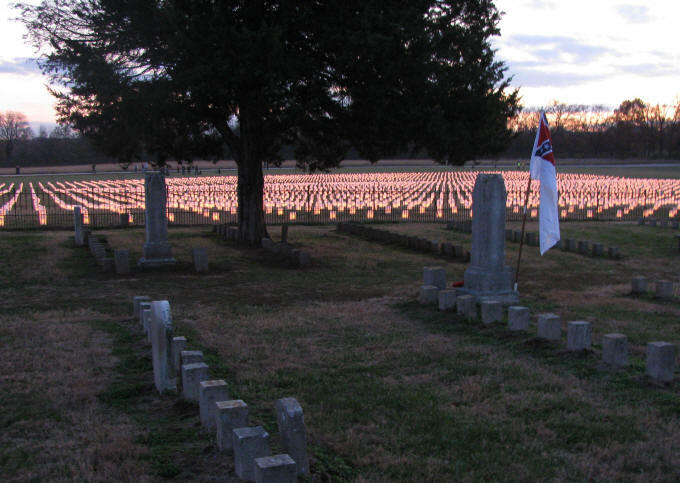 November was the 146th Anniversary of the Battle of Franklin. 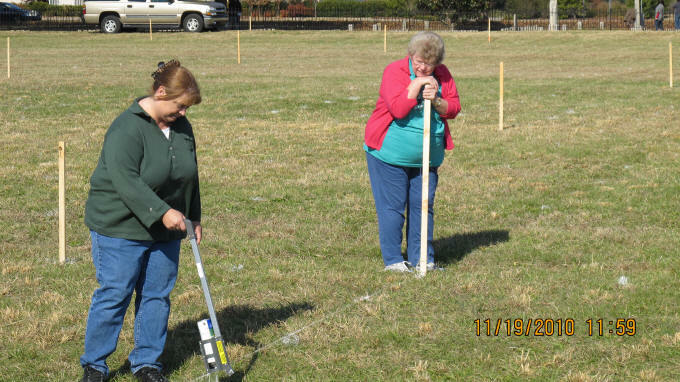 To mark the event, a 10,000 candle Illumination Ceremony was staged on the grounds of Carnton Plantation near the Confederate Cemetery in Franklin. 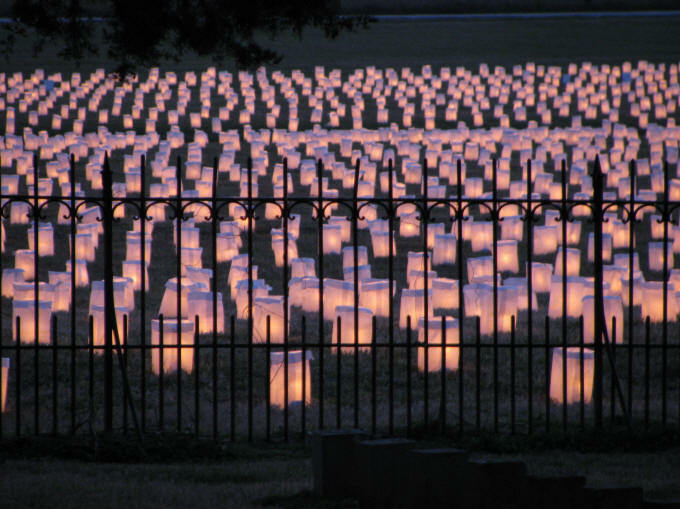 The luminaries represent the nearly 10,000 killed, wounded, captured or missing Americans of the two armies that fought here. 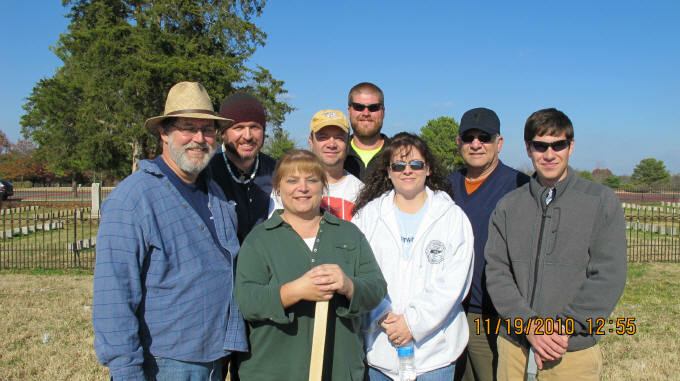 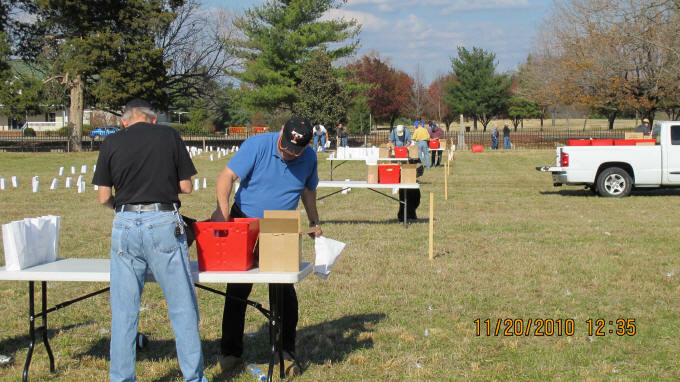 The event was sponsored by the Franklin Battlefield Commission and assisted by several local preservation groups. 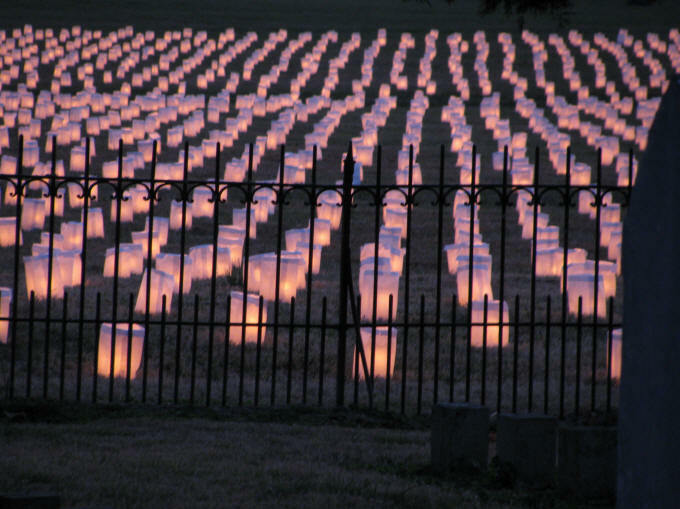 This was the fifth Illumination in as many years and the second conducted near the Cemetery. 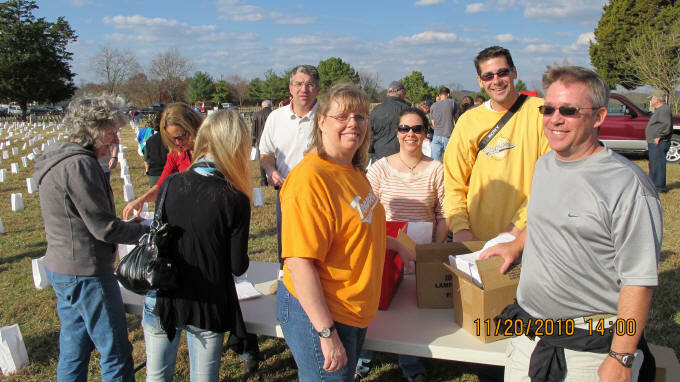 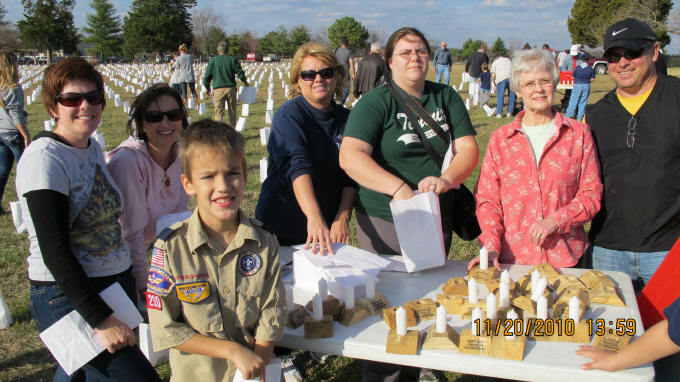 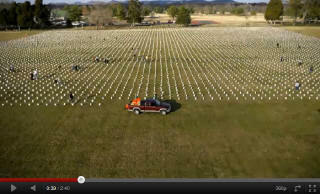 A team of 110 community volunteers assembled and placed the luminaries in about an hour. 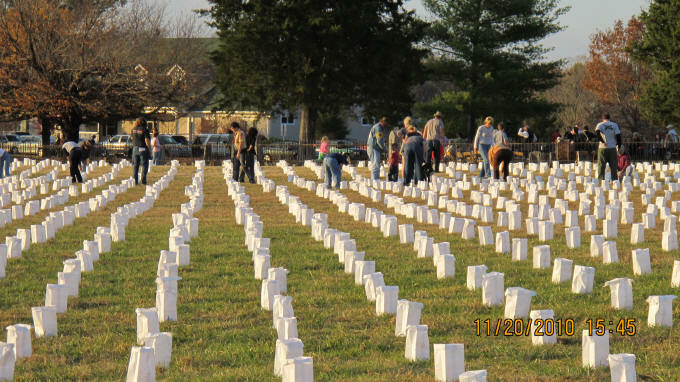 Another hour was needed to light them shortly before dusk. 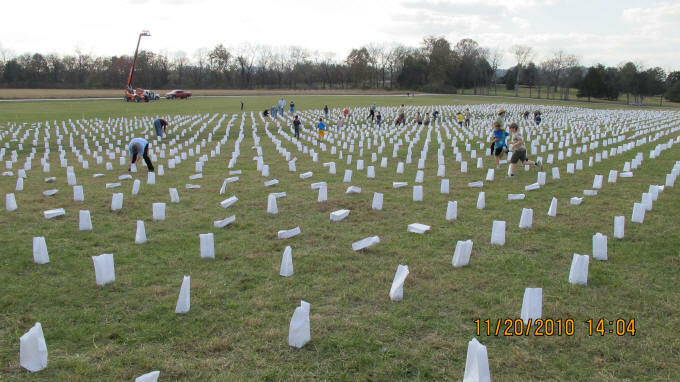 As the darkness gathered, the four-acre display slowly became a striking testament to the numbers who fell at Franklin. 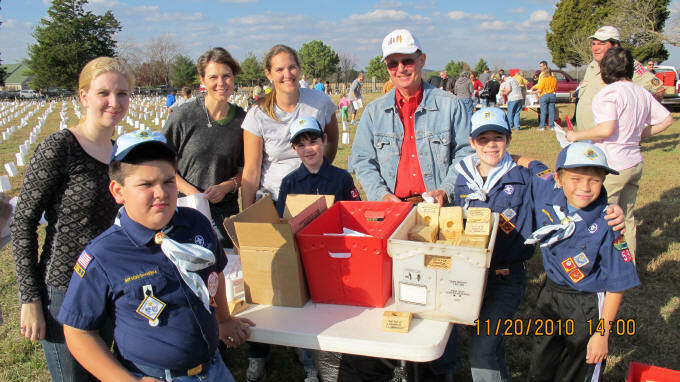 Several speakers and reenactors conducted a solemn commemorative program. 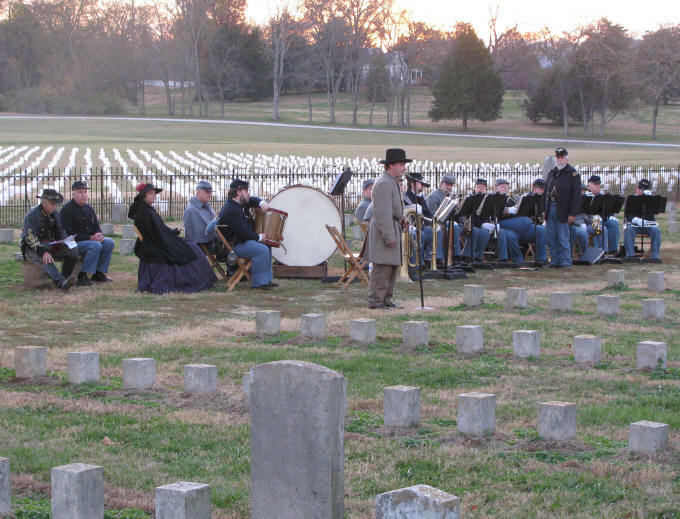 A period Honor Guard preceded the band into the cemetery to begin the program that included the reading of soldier’s letters to their families. 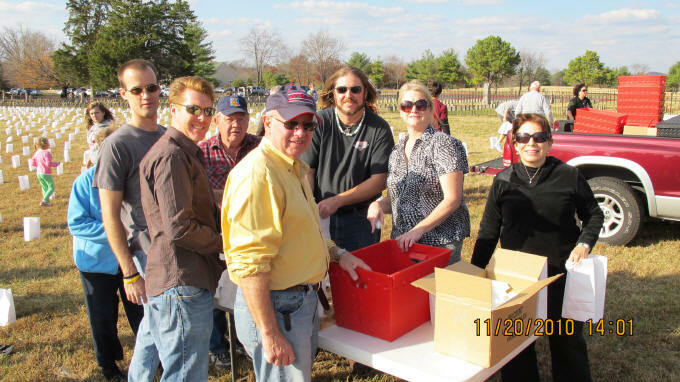 Several musical selections were played by the Eighth Georgia Regimental Band from Rome, Georgia. 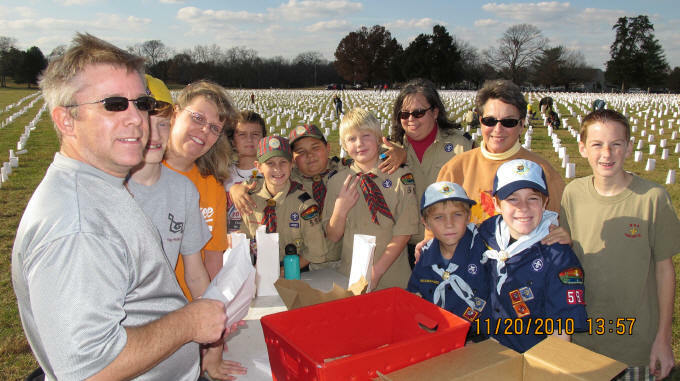 Among the musical numbers played by the band, the first unofficial national anthem “Hail Columbia”, Dixie and concluding with the Stars Spangled Banner. 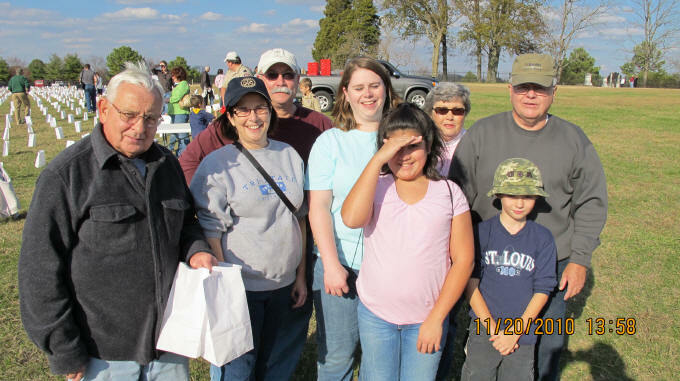 Several hundred visitors attended the ceremony, including local residents and visitors from as far away as California, Illinois and Indiana. 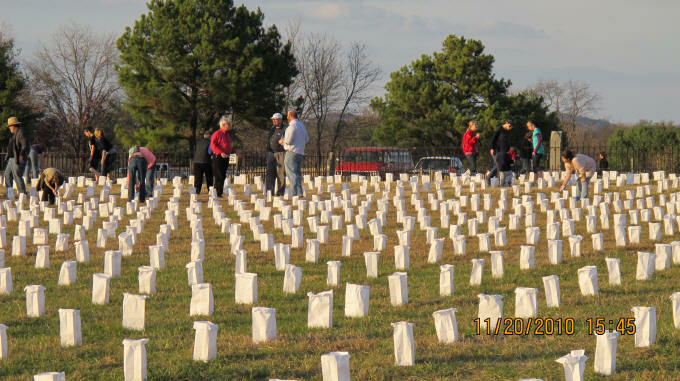 The program and the illumination were a moving tribute to all of the casualties of that terrible day in November 1864. 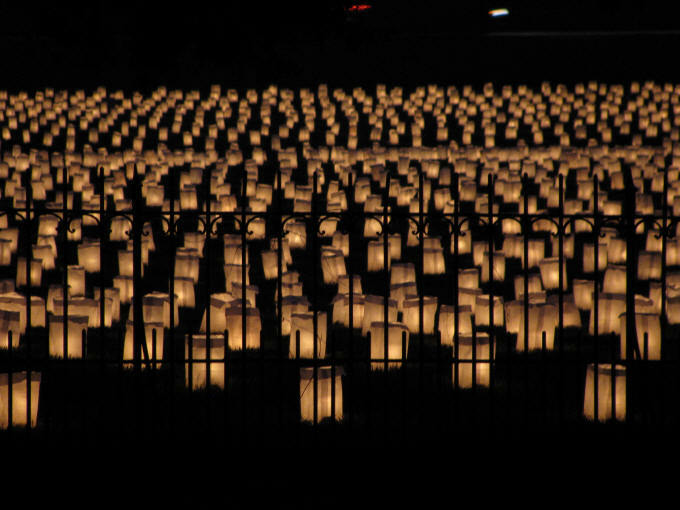 The Illumination each year is a visual statement that the Franklin community, and our visitors, clearly understand our responsibility to forever remember the cost of war and the suffering of those who fell at Franklin.